The William R. Jenkins Architecture, Design, and Art Library is pleased to announce its new partnership with Blaffer Art Muse​um to cross-promote awareness of services and resources for students. 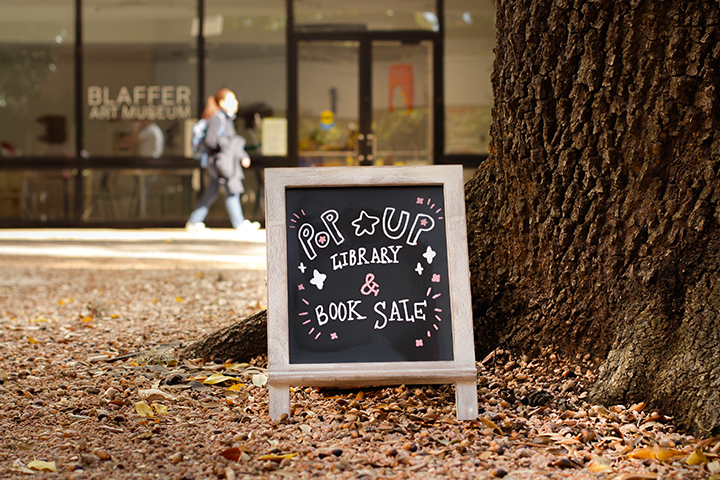 Visit upcoming pop-up libraries on campus. The program features a series of pop-up libraries with curated art books available for check-out and museum catalogs for sale. Pop-ups will be held every last Thursday of the month during spring and fall semesters. Locations will vary. University of Houston Libraries announces the opening of the new One Button Studio, located in the MD Anderson Library Learning Commons. The new One Button Studio is now open at UH Libraries. UH students, staff, and faculty can now record videos with a quick click of a button. No video production experience is necessary. The One Button Studio is open Monday through Friday, 9 a.m. to 6 p.m. on a first-come, first-served basis. The studio key can be checked out from the Service Desk. The Architecture, Design, and Art Library encourages student artists to apply for a chance to exhibit their work inside the library. Student exhibits run for three months and are archived in the UH Digital Library. This week, we will feature student artists whose work was selected for exhibition. Morgan Stahl is a designer from Baltimore, Maryland. She started drawing when she was in 6th grade and hasn’t stopped since. Her passion for art is what helped her find her future as an architect. Even though her older works are in colored pencil, her favorite drawing medium is ink marker. Stahl’s exhibition will be on display from November 2019 through January 2020. 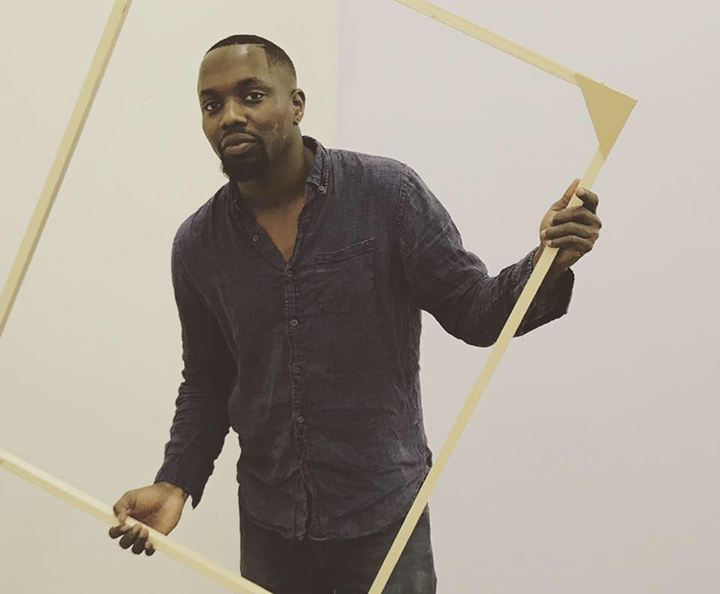 Emmanuel Oluwaseyi Bamtefa is a visual artist from Brooklyn, of Yoruba descent. He has been an active artist since 2012 and is interested in portraiture and figure painting. Bamtefa also likes to play with scale to see how viewers respond to colors in any given space. Bamtefa originally studied architecture but switched to the School of Art’s painting program at the University of Houston. After graduation, he intends to continue his architecture path. Bamtefa’s exhibition will be on display from August through October 2019. Dan Li is an artist and art educator from Hong Kong. She discovered art at a young age and found passion working with watercolors and acrylics. Inspired by the artist Claude Monet, Li created a series of bright flowers for the coming spring season, in hope of bringing warmth and happiness to people. 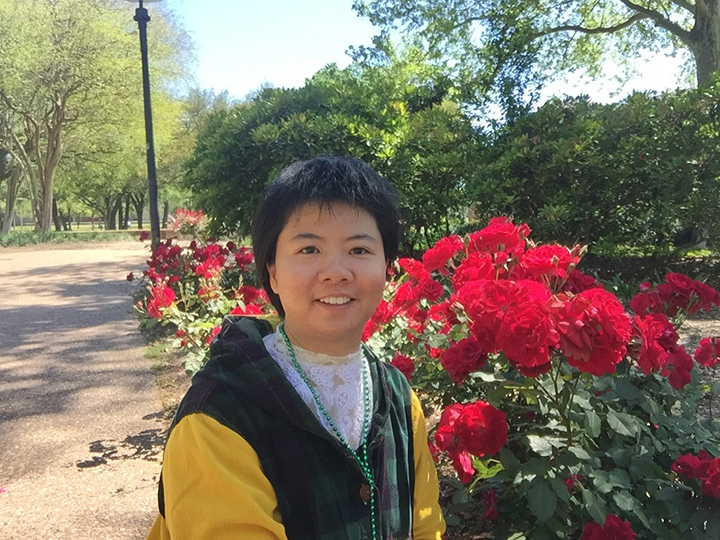 Li is currently a PhD candidate in the Art Education program at the University of Houston. She holds a Master degree in Contemporary Studio Arts and Criticism in Education and a Postgraduate Diploma in Education (major in Visual Arts and minor in Special Needs) at the Education University of Hong Kong. 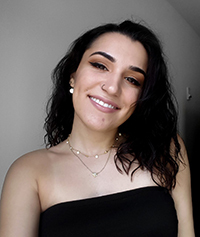 Her research interests include social justice art education, issues-based art education, critical visual literacy, interdisciplinary art education, and technology in art education. Li’s exhibition will be on display from May through July 2019. Tay Butler is a photographer and collage artist who challenges history and memory and repurposes archives, found material and original photography to create both familiar and new compositions and perspectives from which to view that history. 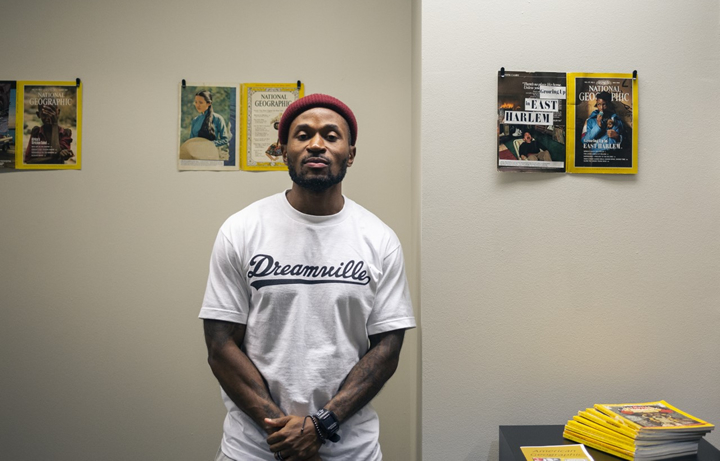 Butler is a student at the University of Houston, in his senior year of the School of Art’s Photography and Digital Media block program. With an expected graduation date of May 2019 and intentions to continue studies after graduation, Butler is consistently building a portfolio of work and exhibitions that include spaces all over Houston, Texas like the Blaffer Art Museum, Texas Art Asylum, and Noble Artisan. Tay Butler’s American Geographic is on display through April 2019, and is free and open to the public. Welcome to the Spring 2019 semester at University of Houston Libraries. Visit us to find the resources and services you need for success in academics and research. Our Top 10 Things to Do at UH Libraries – Spring Edition is a quick guide to get you started on a great semester. Stuck on a research project? Need writing or presentation advice? Contact your friendly and knowledgeable subject librarian for personalized research help. Subject librarians are the ultimate search engine. BONUS: Research Guides are your online source for all things research-related. Each guide gives you subject-specific research tools and methods to help you ace your assignment. 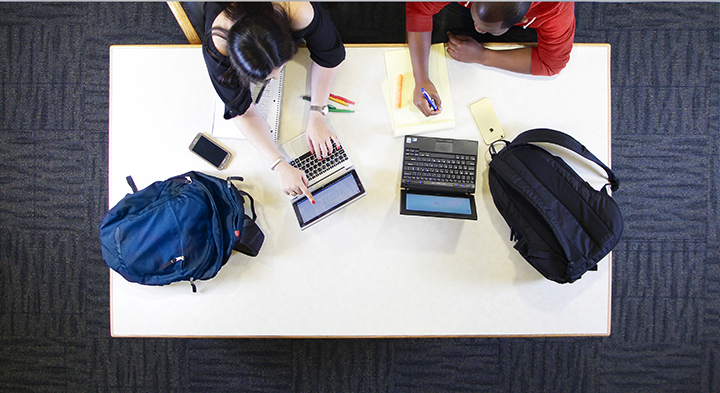 We have over 117,000 square feet of study space. 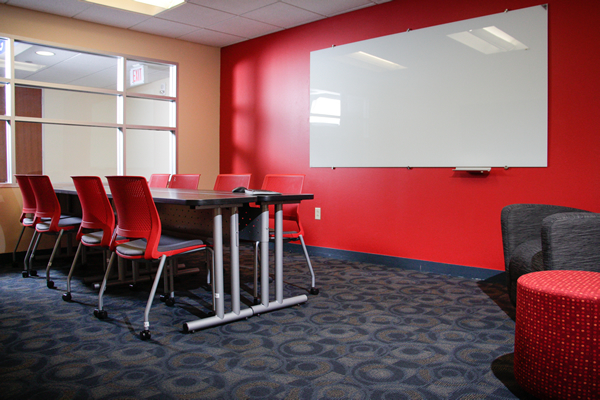 You’ll find a variety of environments to suit your needs, from study hives to silent zones to tech-ready group work areas. BONUS: Need to practice a presentation with your team? Reserve a group study room online, or request a key in person at the MD Anderson Library Service Desk. 8. Power up your productivity. The MD Anderson Library is home to three large computing labs located on the first floor, with Windows workstations for research and study needs, and specialized multimedia and data analysis resources on both PC and Mac. Print, copy and scan services are also available. BONUS: Left your laptop at home? Check out a laptop from the Service Desk. In addition to workspace, the Libraries has areas for you to recharge between classes. Visit the Leisure Reading collection, located on the first floor of MD Anderson Library, and relax with a variety of newer titles in fiction and nonfiction, audiobooks, magazines, and more. 6. Create a media masterpiece. 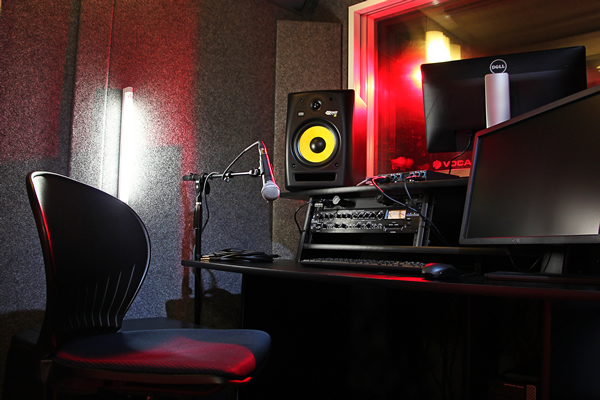 The Hamill Foundation Multimedia Studio, located in the Learning Commons, features audio recording booths and professional-grade equipment to help you create high-quality productions. BONUS: Check out DSLRs, GoPros, mics, tripods, and more from the Learning Commons. 5. Launch your digital research project. The Digital Research Commons (DRC) is the best place on campus to learn more about using digital tools in your work, get hands-on instruction, attend workshops and talks, and use cutting-edge machinery to do your work. DRC staff work with faculty and students on research projects large and small, from the earliest stages of formulating a research question, and choosing and finding materials, to publication in whichever format is most suitable. 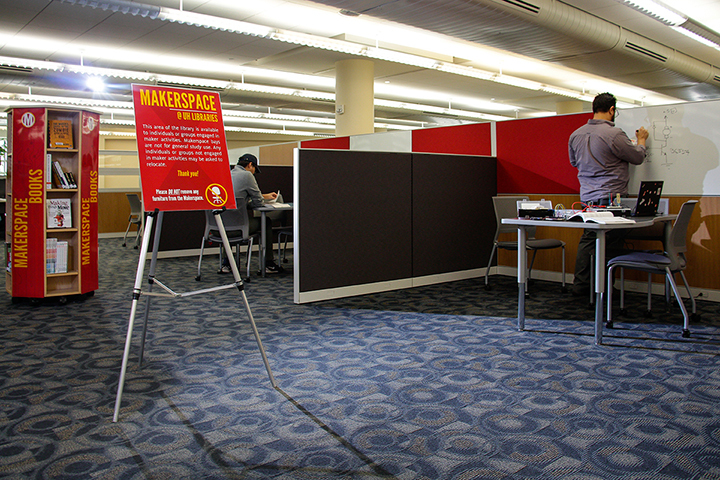 The department of Electrical and Computer Engineering and the MD Anderson Library have partnered to offer an exciting new Makerspace, located on the first floor of the MD Anderson Library within the Learning Commons. The Makerspace offers a specially equipped space, tools, and support for building objects and electrical devices. All students on the UH campus, regardless of college or department, are encouraged to explore the space and all that it offers. UH Libraries comprises the MD Anderson Library, the Architecture, Design and Art Library, the Music Library, and the Health Sciences Library. You’ll find more subject experts and specialized collections at these locations. Open to all, Special Collections organizes, preserves and promotes rare archival items, including books, manuscripts, photographs and other ephemera. Find unique materials in the Hispanic Research Collection, Performing and Visual Arts Research Collection, Energy and Sustainability Research Collection, and more, made available for access in the Special Collections Reading Room. BONUS: Special Collections hosts curated exhibits in the MD Anderson Library, featuring a variety of engaging and enriching subjects. 1. Learn a new skill. We offer free technology training to all UH students, staff and faculty. Beginning, intermediate and advanced sessions in popular programs, like Excel, PowerPoint, Photoshop, InDesign, and many more, are held morning, afternoon and evening to fit your busy schedule. Sessions are instructor-led, with practical, personalized lessons. University of Houston Libraries is pleased to announce the winners of the fall 2018 Song of the Semester contest. 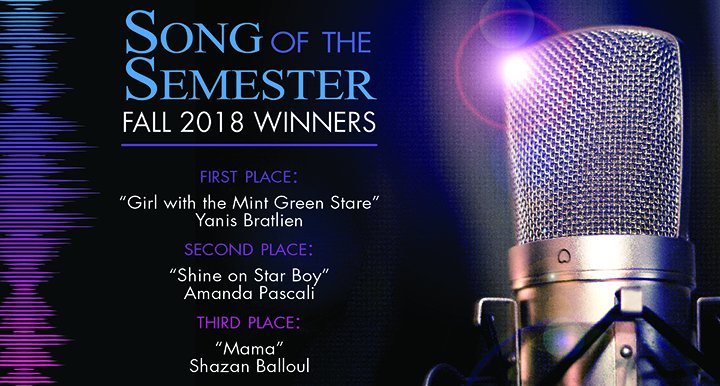 Song of the Semester Fall 2018 Winners. Congratulations to the winners and to all those who entered. All entries were recorded in the Hamill Foundation Multimedia Studio at the MD Anderson Library. It’s finals time at the University of Houston! Multiple exams and projects due all at once can be overwhelming, so your friendly UH librarians have offered tips to help you succeed at the end of the semester. Happy studying! Plan your study sessions wisely. If your final is a few days away, take time each day to study and review so that you’re not cramming the night before. Studying for a later final can also be a break between intensive studying for a final that is happening sooner. Get rest and don’t ignore your health. If you need to set reminders to eat healthy or sleep, do so! Stay hydrated, and go easy on the caffeine, which can zap your energy and focus at high levels. Take time for self-care. Work out, color, nap, take a walk, see friends, listen to music or podcasts, and take breaks in order to combat stress and fatigue. Surround yourself with positivity. Study with motivated classmates, post sticky notes with affirmations in your study space, and reward yourself. If you’ve gone to class regularly, studied hard, and did well throughout the semester, you’ve got the final down! Temporarily turn off notifications from your social media accounts or give yourself an internet curfew. The goal is to minimize unnecessary distraction. Relax and take deep breaths. It is not the end of the world. The end of finals and winter break is just beyond the horizon; no matter what happens in the next week, you will be done with the semester when you reach the other side of it! The library is here for you. Whether you need a place to study, take a break at Paws and Relax or Finals Mania, or if you need assistance finding those last few sources for your paper, UH Libraries can help in a variety of ways.